The untidy man then hemmed and hawed, but he would not give a direct answer. This is a true story on the TV show COPS eighteen years ago. The man in that story may have been homeless and down on his luck. However, he was still proud to be an American, just like all of us are here tonight. America has been so wonderful for me also providing me a free public education, allowing me to work as a ranger in the national parks, and the freedom to travel about the country and world. Even though I am proud to be an American, I am here tonight to say that my patriotism does not end at the Mexican and Canadian border. That is where it begins. I am even more patriotic for the planet, for our spaceship Earth. It is our home. Without it, none of us would be here. My focus here tonight is to inspire you tonight to care for our planet. Just like you love America, you want to be patriotic for the Earth because it is UNIQUE, SMALL, AND OUR SACRED HOME. How unique is Earth? According to the September 12, 2011 edition of National Geographic News, astronomers have now discovered over 600 planets outside our solar system. As far as scientists can tell, Earth is still the only know planet that can support life for you and me. Author Paul Hawken tells a fascinating story in his 2007 book Blessed Unrest. Recently, Paul and I even corresponded directly about this story which I think demonstrates how unique the Earth is. Sixty chemical engineers from a very prominent chemical company were divided into four teams. Each team was to design a spacecraft that would support life for 100 years. In this competition, the spaceship would have no size limit, no trap door or way to throw anything away, but it could receive light. The four teams would present their spaceship. Everyone would then vote for the best spaceship where they would want to live. The winners brought no company products. In fact, they shunned them. They grew their food organically on the ship, without using the company pesticides. The other ships brought videos and dvds to entertain themselves. However, the winners took diverse people on board, such as storytellers, artists, singers, dancers, (and possibly TOASTMASTERS!). After that, several quit their job at this chemical pesticide company. They started an organic garden. To me, this story says you just cannot beat spaceship Earth as a unique home. My second point: Besides being unique, like the song says: IT REALLY IS A SMALL WORLD AFTER ALL! 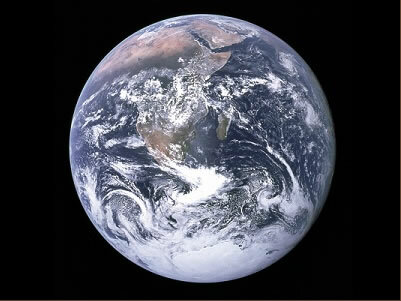 According to NASA, the circumference or distance around the earth is almost 25,000 miles. That is extremely small when you realize that the average American drives their car over 13,000 miles a year, according to the U.S. Department of Transportation. If you do the math, this means the miles you will drive in your car in less than 2 years for all purposes will equal the distance around the earth. Basically, the atmosphere that surrounds us on the planet is extremely miniscule. The habitable part of the planet where humans can tolerate continuously living appears to be up to 18,000 feet elevation. This is less than 3 and half miles. That is less of a distance than probably most of us drove from our house to this Toastmasters meeting tonight. Fortunately, we can find ways to stop polluting our small spaceship earth. All this carbon dioxide is thrown into our atmosphere by burning mass qualities of coal, oil, and natural gas. The good news is that there are alternative ways to obtain our energy such as solar, wind, geothermal, bio fuels, and even nuclear to reduce the pollution of our atmosphere. Even you can do your part to pollute Spaceship Earth less by driving slower, driving less, and looking for ways to be more energy efficient in your home or business. Now we just talked about how earth is UNIQUE, SMALL, AND WE ARE POLLUTING IT WAY TOO MUCH. However, my goal here tonight is to get you to EXPAND YOUR PATRIOTISM. May your love for America also be expanded to a love for our planet. I want to inspire you to think of the earth as SACRED by giving you a gift here tonight. Please feel free to open up the envelope placed in front of you. What is it? It is a little blue marble. Now I want you to take that little blue marble between your fingers and stretch out your arm as far as it will go. This is approximately what spaceship earth, our home looks like from a million miles out in space – a blue water planet. I first read about the little blue marbles in this December 2011 issue of Outside Magazine. SEA turtle Biologist, Wallace J. Nichols, who is pictured on the cover, originated the idea of giving away the blue marble. Wallace even friended me on Facebook recently. If Dr. Nichols was here tonight, he would want us to know that if water was inside the marble, the marble would contain virtually all of earth’s elements. Most importantly, he wants you to think of someone who is doing good work for the planet. Then, imagine how good both of you would feel if presented them with this marble saying ‘thank you for caring for the earth’. This entry was posted in Uncategorized on January 26, 2012 by bettling. What is the most effective way to communicate with people about climate change? Even more, how can we inspire people to take action to resolve climate change now? I found a great answer to this question over a month ago when I attended the American Geophysical Union Conference in San Francisco. I heard many fabulous presentations about how to communicate climate change effectively. The best message that still “sticks” in my mind was by Dr. Edward Maibach, the Director of The Center for Climate Change Communication at George Mason University. Even better, he then showed what this simple clear message is. It is a beautiful message because it can be repeated often. Furthermore, one can easily back up this message with a variety of trusted sources, such as NASA, NOAA, American Meteorology Society, all US Military Institutions (Army, Navy, Air Force, & Coast Guard), and all 32 US & Worldwide Science Academies. • There is widespread agreement among climate scientists; more than 95% of scientists are convinced of the above two points. • People can limit it, if we choose to. As a climate change communicator, I struggle with communicating climate change quickly, succinctly and in a manner that it easy for me to say. Even more, I think this is a “sticky” message that is easy for my audience to remember. Hopefully, other climate change communicators can easily repeat this message to their audiences to spread the message. Dr. Maibach discovered this technique of effective “sticky” messages from the book, Made to Stick: Why Some Ideas Survive and Others Die by Chip & Dan Heath. In my correspondence with Maibach and another friend, Tom Smerling, it was highly recommended that I read this book. I was so impressed with Dr. Maibach’s presentation about effective climate change communication and The Five Messages about Global Warming – that you may wish to convey that I bought Made to Stick yesterday. I felt like I just found an excellent “sticky” tool to enable me to be a more effective climate change communicator. I hope this “sticky” tool helps you too. This entry was posted in Uncategorized on January 18, 2012 by bettling. • People are causing it. • Widespread agreement among scientists (more than 95%) that it is happening right now because of humans. • Climate change is harmful to people. • Humans can limit the most dangerous consequences if we choose to act now. He is a climate scientist at the NASA Goddard Institute for space studies. He is also a cofounder of Realclimate.org, where he is a contributing editor. I got to meet him this past September when he presented at the NASA & National Park Service Earth to Sky Conference V: Communicating Climate Change in Washington, D.C. After his presentation, all the participants in the conference, including me, received a free copy of his book: Climate Change: Picturing the Science. He kindly autographed the book for me. I enjoyed reading it this past autumn. (pictured on the right) He is the author of six science books, including, Dead Pool: Lake Powell, Global Warming, and the Future of Water in the West. 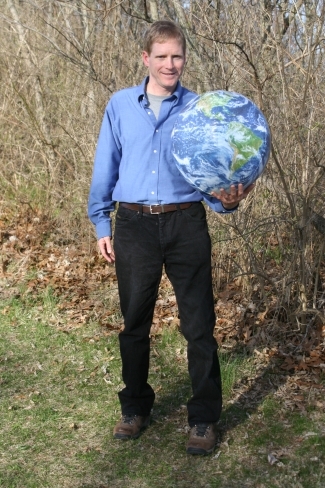 He has a website, jamespowell.org where he writes about global warming from his perspective as a scientist. I met John Cook and James Powell at a party in Berkeley, California in December, 2011 while all of us were attending the American Geophysical Union (AGU) conference in San Francisco. At the same party in Berkeley, I got to chat with Kaitin. She is already a rising star at just 19 years old. She is a student at the University of Manitoba, Canada, studying climate modeling and is an aspiring climatologist. Her blog, ClimateSight, was highly praised and is closely followed by the other climate communicators who attended AGU. He also attended the same party in Berkely. His blog, desmogblog.com and hisYouTube series, “Climate Denial Crock of the Week” is also an excellent tool to directly debunk climate myths spread by climate science doubters. I got to meet him at AGU in San Francisco. He is a Professor of Geosciences at Penn State University. He is known for his research of glaciology and ice sheets. I love his PBS documentary, Earth: The Operator’s Manual. I am currently enjoying reading his book by the same title. He also signed a copy of his book for me when I met him. I got to meet him via Kaitlin Alexander. She told me where he was lecturing during the AGU conference. Kaitlin and I attended his lecture. Afterwards, we had the incredible fortune to chat with him directly. He is head of the NASA Goddard Institute for Space Studies and he is famous for testifying before Congress on climate change since the 1980s. I enjoyed reading his book Storms of My Grandchildren two years ago. While waiting to chat with Dr. Hansen, I got to meet Dr. Oreskes. I just finished reading her book, Merchants of Doubt. It meticulously documents how a small group of contrarian scientists spread doubt and confusion after a scientific consensus had been reached on the dangers of tobacco smoking, acid rain, the hole in the ozone, and climate change. My friends, Sundae Horn and Rob Temple, who I used to work with in the Florida Everglades introduced me to Tom. He created the website, Climate Bites. This website is an online toolkit for climate change communicators, like me. It brings fun into climate communication with metaphors, sound bites, humor, stories and graphics that help make your message stick. I personally enjoyed contributing “bites” or short essays to this website since I met Tom last October. I also met him at AGU last December. He is a climate scientist and Distinguished Professor Scripps Institution of Oceanography at the University of California, San Diego. I first saw him on the HBO special on climate change in 2006, Too Hot to Handle. Dr. Somerville and other scientists interviewed, such as Dr. Stephen Schneider, had a deep impact on me with their sobering statements on the problem of climate change and the nasty consequences if we fail to act. Dr. Somerville is also the Science Director of a great website, Climate Communication. He collaborates on this website with Susan J. Hassol, Director of the Climate Communication, on the latest information on climate science communication and outreach. I also met him at AGU last December. He is a climate researcher at Lawrence Livermore National Laboratory and former researcher at the University of East Anglia’s Climatic Research Unit. He wrote the key statement in the 1995 United Nations Intergovernmental Panel on Climate Change (IPCC) report that “the observed trend in global mean temperature over the past 100 years is unlikely to be entirely natural in origin…Taken together, these results point towards a human influence on global climate.” That statement resulted in a firestorm of vicious attacks from climate change contrarians, such as physicist Dr. Fred Seitz. However, Dr. Santor stood firm behind what he wrote. Many other distinguished climate scientists, such as Dr. Stephen Schneider, defended him. The statement has since stood the test of time. Since then, it has been reaffirmed by more recent IPCC reports. I first met Larry at a St. Louis Science Center café last April. We both attended a lecture by Jim Kramper, Warning Coordination Meteorologist with National Weather Service, on “Climate Change – What We Really Know.” This winter, Larry and I co-founded the meet up group, Climate Reality St. Louis. Our group focus is to exchange ideas on how we can locally and individually reduce our impact on climate change. We had 14 people at our first meeting last December 11th. We hold our next monthly meeting this Sunday, January 15th. There are so many other climate heroes I want to mention. A special mention needs to go to Scott Mandia. I met him through Larry Lazar. He is a professor of meteorology at Suffolk County Community College in New York. Scott is also the founder of the Climate Science Rapid Response Team. This is a group of scientist researchers and professors who are on call to “matchmake” media and lawmakers to climate scientists. This group enables the media and lawmakers to receive rapid high quality information when they inquire on climate change. It was also such a pleasure to interact with Scott at AGU. He even bought me breakfast at my first morning of the conference. Somehow, I let the opportunities at AGU slip away to get my picture taken with him. Scott Mandia, James Powell, Tom Smerling, and Professor John Abraham from the University of St. Thomas also took me out for a fantastic sushi dinner while I was in San Francisco in December. Needless to say, I am having a fabulous time meeting climate scientists, professors, and communicators who as just as passionate about climate change as me. Stay tuned. I cannot wait to meet and have my picture taken with my more climate heroes in 2012. I will make sure I post on my blog when I meet them and have my picture taken with them also. This entry was posted in Uncategorized on January 13, 2012 by bettling. According to sea turtle biologist, Wallace J. Nichols, this little blue marble could inspire people to take meaningful action to protect our planet. Outside Magazine featured Dr. Nichols in its December 2011 cover article, “The Outside Guide to Fixing the World” by Michael Roberts. This article inspired me so deeply that I gave my nieces and nephews a little blue marble for Christmas recently. Even more, this little blue marble will be featured prominently in my next Toastmaster’s speech at the end of January. My speech is called, “EXPAND YOUR PATRIOTISM.” The theme of this speech is caring for the earth and eliminating pollution is patriotic for the planet and America. Nichols estimates around a million of his blue marbles are in circulation around the world. They have made it into the hands of Dr. Jane Goodhall, Harrison Ford, James Cameron, E.O. Wilson, and four-time Iditarod champion Lance Mackey, who carried one in this year’s race. The concept of the blue marble is simple. If Nichols was standing in front of you, first you would take the little blue marble between your fingers and stretch out your arm as far as it will go. This is approximately what spaceship earth, our home looks like from a million miles out in space – a blue water planet. Then, he would want you to hold it up to your eye and look at the sun. If water were inside, the marble would contain virtually all of earth’s elements. Finally, think of someone who is doing good work for the planet. Hold the marble to your heart: think how it would feel to you and them if presented them with this marble as a way of saying thank you. At first, Outside writer, Michael Roberts felt uncomfortable with this “shtick.” However the last line giving the marble away to an old friend caused Roberts “fall under (Nichols) spell.” I also fell under this spell to immediately go on the website, BlueMarbles.org to purchase 50 marbles. The blue marbles have brought me happiness. Now I give them as gifts to family members, Toastmasters, and others who are inspiring me to “be green” to save the planet from climate change. This entry was posted in Uncategorized on January 8, 2012 by bettling. I read that title and essay by Christian missionary Keith Barnett back in the year 2000. In the essay, Keith talked about how he felt God had been speaking to him for a few years to just focus on one thing. This singular divine focus led Keith to be a missionary in Guatemala at the time. Keith went on to explain that just like a plant growing has a tendency to grow in many directions and produces off-shoots, or “suckers.” These small off-shoots can draw of the life and vitality of the plant to useless ends. For this reason, a wise gardener cuts off the smaller offshoots. 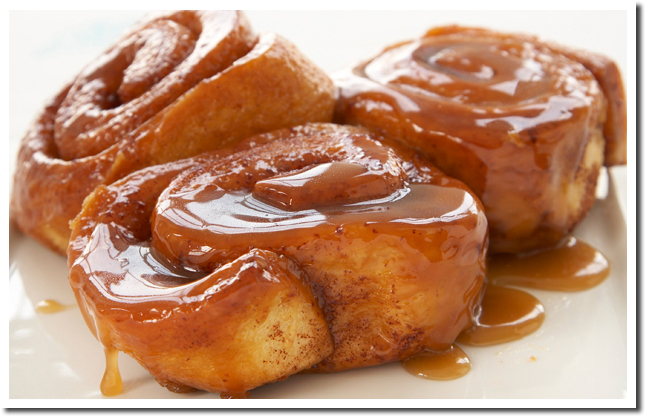 This causes the plant to direct all of its life force into the fruit of the plant, its seed, blooms, and its fruit. This essay struck a deep accord in me because I was struggling at the time to find my “one thing” and stick with it also. At the time, I was a naturalist guide in Everglades National Park narrating the boat tours the tourists. I worked for a private company that treated its employees poorly and it did not really care about the environment. I also felt I had a deeper message to give the world than just pointing out the alligators, crocodiles, birds, dolphins and manatees in the Everglades. Still, when there was not wildlife around, which was often, I shared a message of the importance of the natural world and protecting the Everglades. However, the tourists just focused most of the time on spotting the wild animals and paid little attention my message of conservation. I knew in my heart and gut that I did not want to be a naturalist guide in the Everglades forever. However, I had no idea what the vision or “one thing” was. Around this time, I found a book in a used book store, Laboratory Earth: The Planetary Gamble We Cannot Afford to Lose by Dr. Stephen Schneider. He was a climate scientist out of Stanford University. I purchased the book because passengers on the boat tour were asking me about global warming. I wanted to start educating myself on this issue. The science in the book was very technical, but I was hooked. I started reading more books on climate change over the years, especially whenever I would see a new book on this subject at Barnes and Noble. In spring 2008, I quit working as a naturalist in the Everglades. I knew I wanted to go to grad school to study about communicating climate change. I set out a deadline for myself to be enrolled in a graduate program by 2010. Unfortunate, I did not have a pin point dedication to this goal. I got distracted by dating the wrong women, traveling, and having fun as a seasonal summer ranger at Crater Lake National Park in Oregon. Brian Ettling winning “Best Speaker” for Toastmasters speech, November 2011. This past summer at Crater Lake, I created an evening campfire program on the impact of climate change on Crater Lake. This past September, the National Park Service invited me to attend the 2011 NASA ‘Earth to Sky’ conference in Washington D.C. on successfully communicating climate change with park visitors. Within the past month while currently living in St. Louis, Missouri for the winter, I co-founded Climate Reality St. Louis Meet Up group. This is a group of locals that meets regularly to discuss the impact and solutions to climate change in St. Louis. In early December, I attended the American Geophysical Union Conference in San Francisco where I got to meet and interact with America’s top climate scientists and communicators. In 2012, I hope to meet with professors at grad schools like Columbia, George Mason, and Colorado State to find a program that can really enable me to be a top climate change communicator. I also hope to give more speeches at Toastmasters and elsewhere about climate change. I also hope to return to Crater Lake to present my climate change evening program again and keep improving it. 2012 is going to be an exciting year for me as I edge ever closer “finding that one thing and sticking with it” as a climate change communicator. This entry was posted in Uncategorized on January 4, 2012 by bettling.